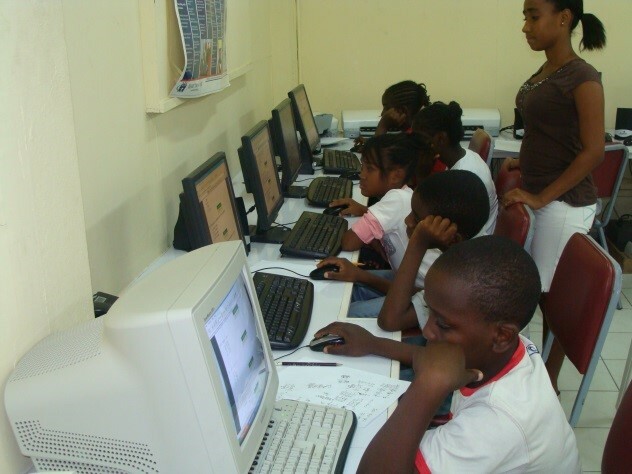 The 1,321 projects have received a total of US$43.93 million or J$2.52 billion. 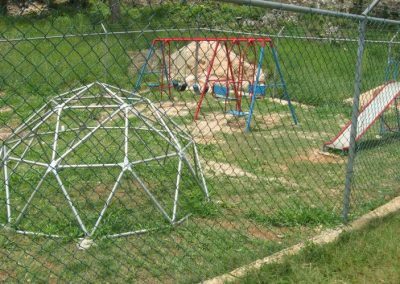 Click here to see the total list of projects funded, and click here to see some of the featured projects. In 2016, the EFJ became the Fund Administrator for the Special Climate Change Adaptation Fund (SCCAF). In collaboration with the Ministry of Economic Growth and Job Creation (MEGJC), through funding of Four Million Seven Hundred Thousand United States Dollars (USD 4.7M) provided by the Inter-American Development Bank (IDB), grants were awarded under the project “Adaptation Programme and Financing Mechanisms for PPCR Jamaica” for the Climate Smart Initiative. To date, a total of 84 projects have been awarded grants of J$382.16 million dollars. Theme: Development and support of the livelihoods of individuals living in or near a tropical forest in a manner consistent with protecting such tropical forests. The Local Initiative Facility for the Environment (LIFE) was registered as a non-profit organization in 2003. LIFE works with community groups in the areas of environmental management, grassroots economic development/alternative livelihoods and governance to improve local living conditions and promote sustainable development. 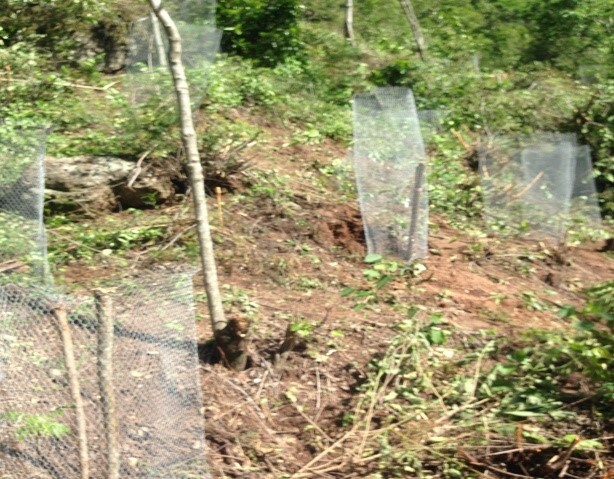 Deforestation of slopes in the Good Hope, St. Thomas over many years has resulted in slope instability and vulnerability to landslides and soil erosion. Many people in the area are not aware of the benefits of a well-managed forest, where wise use ensures the continuity of the natural resources. These problems compounded by low levels of employment inspired LIFE to develop and submit a proposal to address these issues. 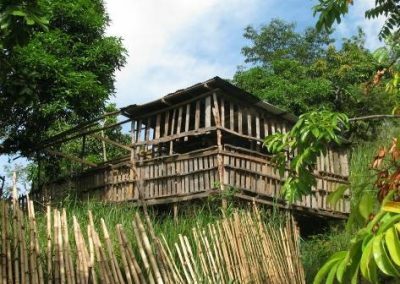 In 2010, LIFE was awarded a grant from the Forest Conservation Fund to implement a project titled ‘Reforestation and Development of Alternative Livelihood Activities in the Good Hope Region. 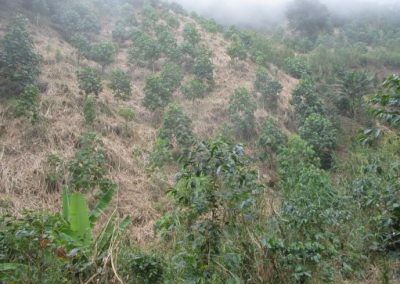 12 hectares of degraded slopes were targeted for reforestation along with training a minimum 25 persons in beekeeping and 30 persons in goat rearing. 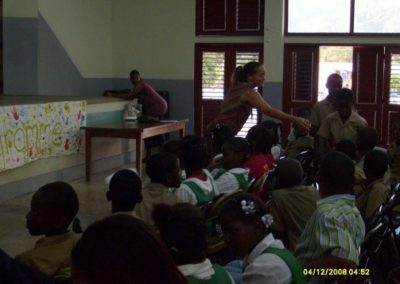 Also, an education campaign to create community awareness of the importance/ role of forests was to be done. 10 ½ hectares of land was reforested, the training of individuals in beekeeping and goat rearing has been completed with fifteen (15) persons being issued beekeeping certificates of participation. 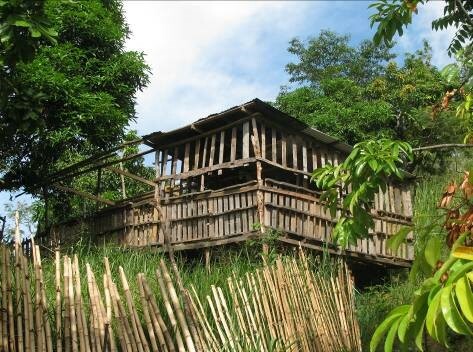 10 goat houses have been constructed to the benefit twelve (12) individuals. Eleven (11) persons of the twelve were trained in goat house construction and rearing. 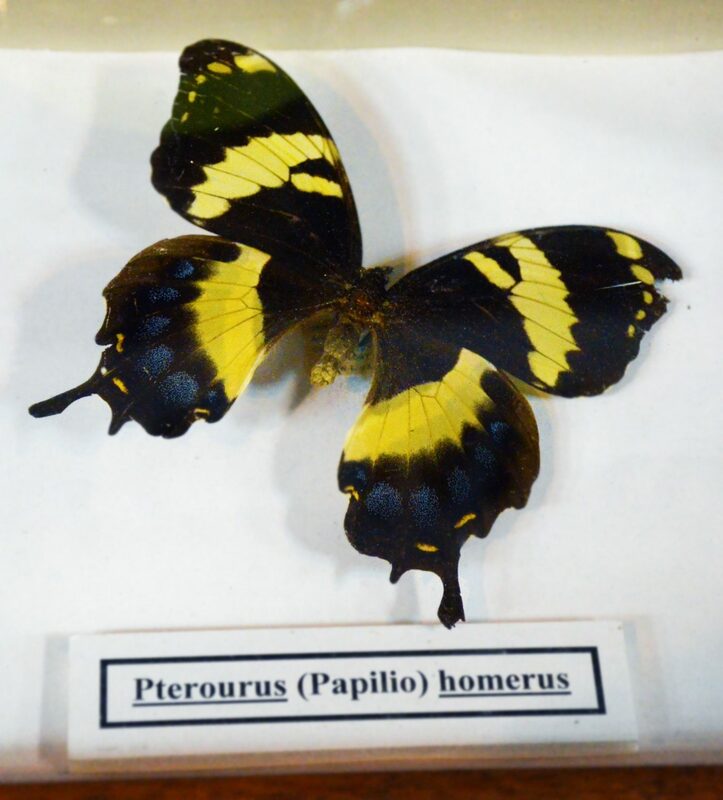 Natural Products Institute and the Department of Biochemistry are part of the University of the West Indies and are involved primarily in teaching and learning, research and development. There are many Jamaican medicinal plants whose claims remain scientifically untested and therefore underutilized. Community groups, farmers and the country as a whole will benefit from the scientific results gathered by the study, particularly by growing and implementing medicinal plants and herbs of benefit to human health. This will create an alternative to unsustainable livelihoods and thus result in forest conservation. 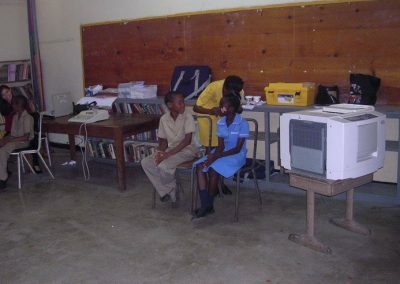 The objectives of the project were: to gather information on medicinal plants used in Jamaica; specifically to identify and gather at least 15 of these plants; prepare infusions (teas) or decoctions as used by traditional consumers; and unearth scientific information on use of the chosen plants against several important medical conditions such as cancer, high blood pressure, erectile dysfunction and diabetes. Research has been done on seven (7) plants namely Peperomiapellucida (Pepper elder) Artocarpus altilis (Breadfruit) Rhytidophyllum tomentosa (Search- mi-heart) Psidium guajava (Guava) Momordica charantia (Cerasee) Symphytum officinale (Comfrey) and Picrasma excels (Bitterwood). Four (4) research papers have been completed and are in the process of being peer-reviewed. 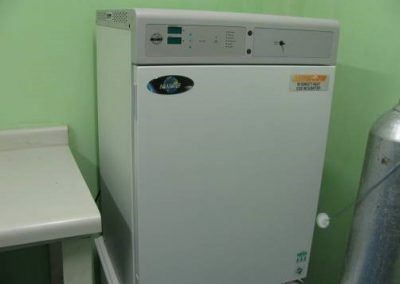 All the laboratory experiments have been completed with the exception of the prevention of erectile dysfunction. To date three (3) conferences and presentations have been done to stakeholders of the nutraceutical industry. The Lions Club of Mona is a service club that works with its community partners in a number of areas to include health services, environmental awareness, and conservation, disaster preparedness etc. 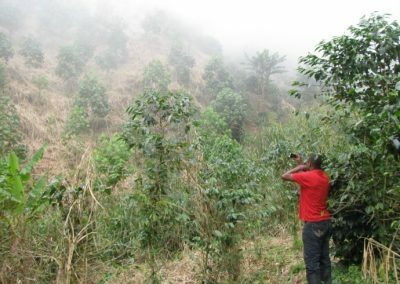 The Forestry Department recommended a replanting of the concerned acreage in the Blue Mountains after large portions of the forest was lost to deforestation and misuse of the forest resources. 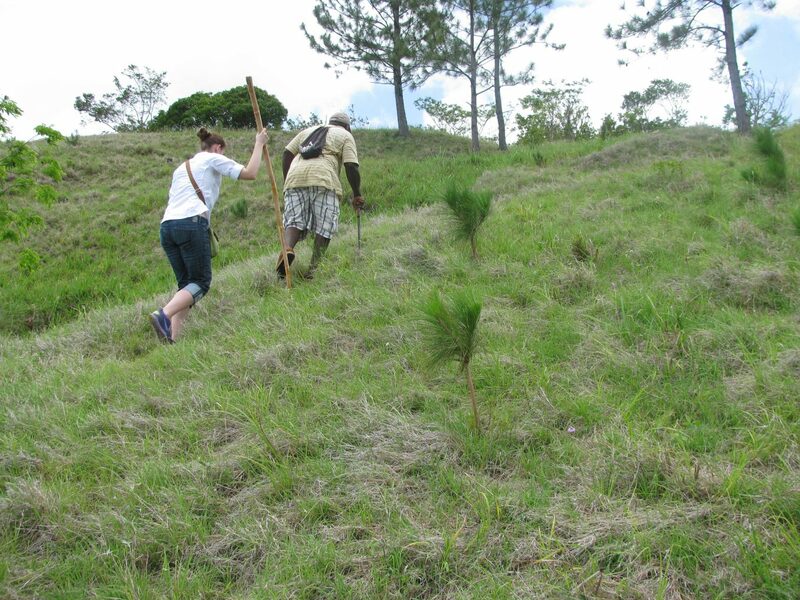 As part of the Lions Clubs environmental programme, an extension of a previous grant to reforest portions of the Blue Mountain was conceptualized. 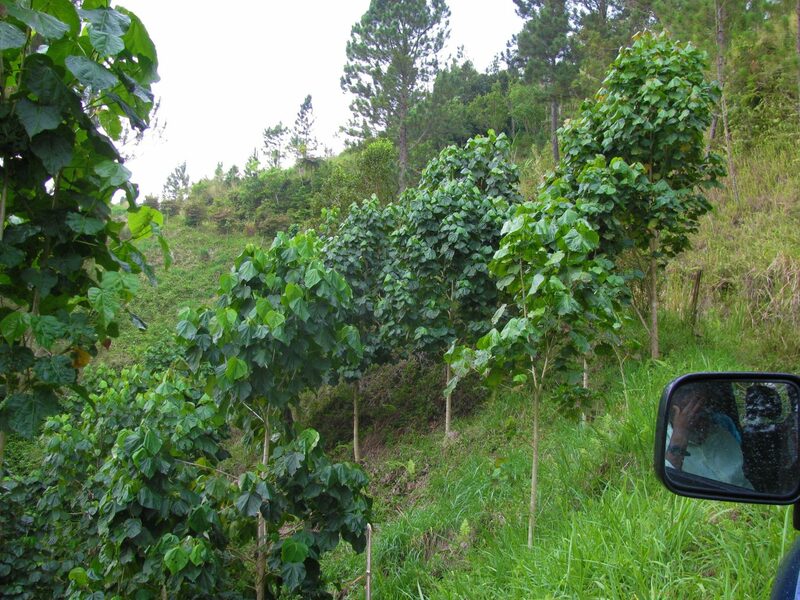 The 12 additional hectares were planted and maintained along with the 36 hectares previously planted. 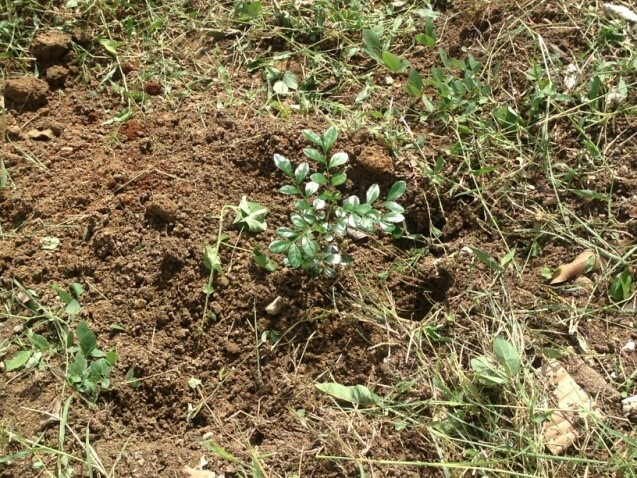 Seedlings such as Blue Mahoe (Hibiscus elatus), Silky Oak (Grevillea robusta), Caribbean Pine (Pinus caribaea) and other timber species were planted. In achieving this feat, 21 persons were impacted through employment and training and two (2) organizations strengthened. 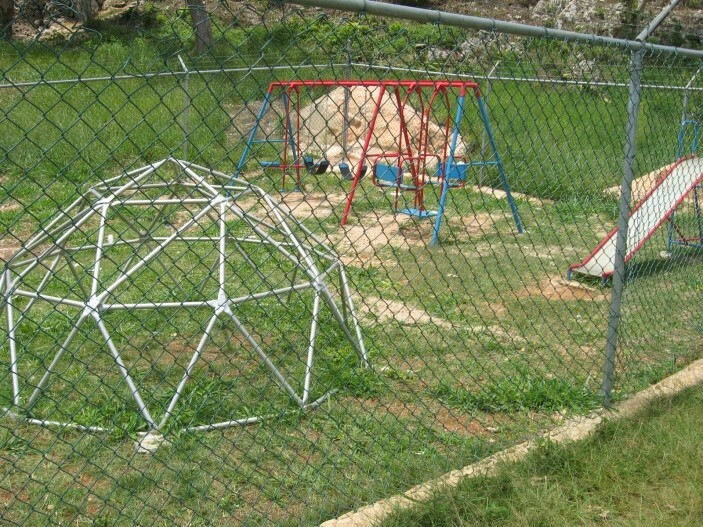 St. Thomas Environmental Protection Association is a non-government organization that caters to the protection, conservation, enhancement and enjoyment of the St. Thomas environment. The southern part of the Blue and John Crow Mountains National Park includes 3 important watersheds- the Plantain Garden River, Morant River, and the Yallahs River Watersheds. These areas are under severe stress and degradation due to natural disasters and the effects of unsustainable land use. Resultant to a call for proposals in 2010, St. Thomas Environment Protection Association (STEPA) made a grant application to the Forest Conservation Fund to plant 12 hectares of forest reserve with a variety of seedlings, to establish 9 hectares of fruit trees on private holdings, to start 40 new beekeeping enterprises and to expand 15 existing beekeeping enterprises. 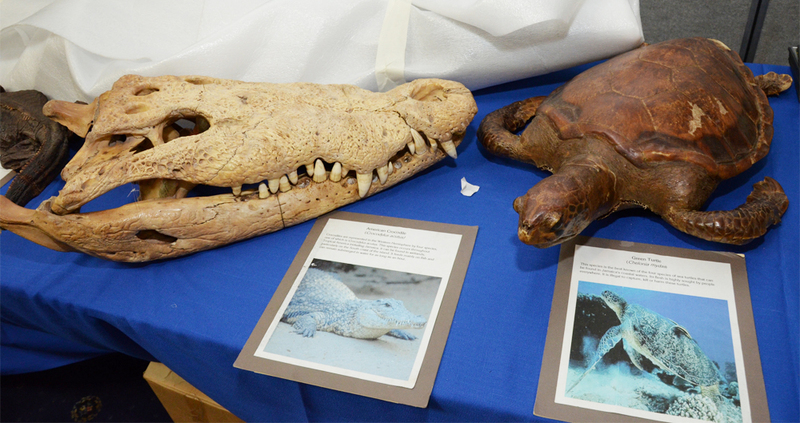 The project was entitled ‘Morant Watershed Restoration, Conservation, and Community Development Project. The grant was approved. 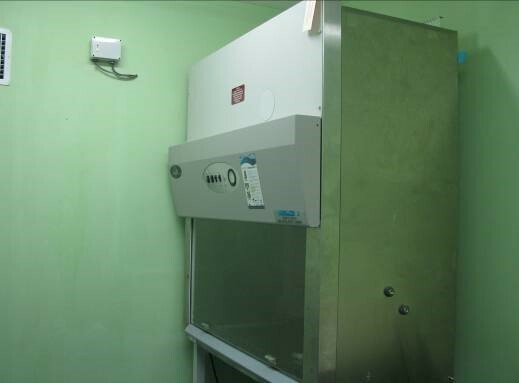 Implementation of the project took place in the southern communities of the Blue and John Crow Mountains namely Middleton, Whitehall, Soho, Golden Valley and Spring Dunrobin. 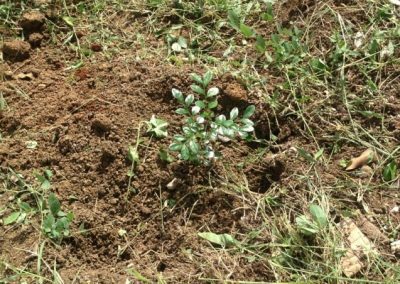 9.5 hectares of forest reserve were planted with seedlings to include Eucalyptus (Eucalyptus camaldulensis), Cacia (Acacia mangium) and Neem (Azadirachta indica). 37 new bee-keeping enterprises were established during which 46 persons were trained and, 15 existing enterprises expanded. The Women’s Resource and Outreach Centre (WROC), a non-profit organization, was established on International Women’s Day, March 8, 1983. With the goal of advancing the empowerment of women, families and their communities, WROC strives to build and sustain an organization which promotes gender equality and the advancement of women and youth through social, economic and advocacy programmes. Somerset, located in the western hilly interior of St. Thomas depends on agriculture as the main source of livelihood, which is very vulnerable to the impacts of climate change. The impacts of climate change in combination with deforestation and poor farming practices have resulted in severe erosion. 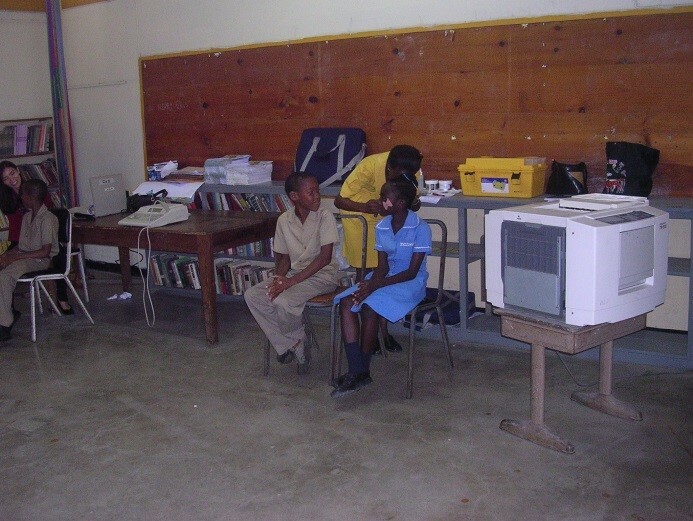 WROC decided to render help to the community through an FCF grant. 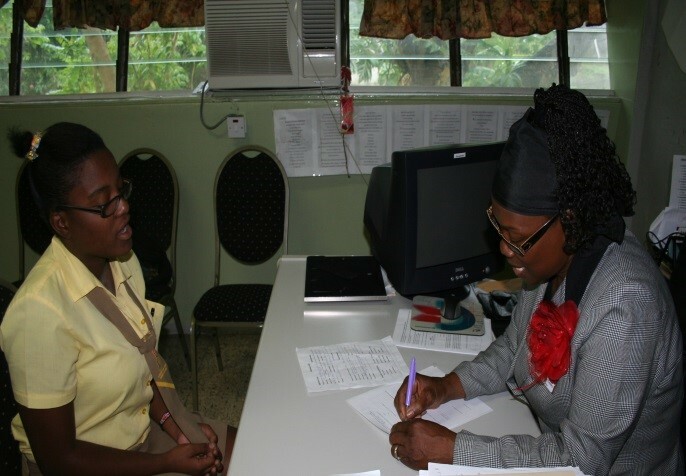 WROC secured a grant in the 2010 Forest Conservation Fund call for proposals entitled ‘Reforestation and Promotion Best Farming Practices to mitigate the effects of Landslides in Somerset, St. Thomas. 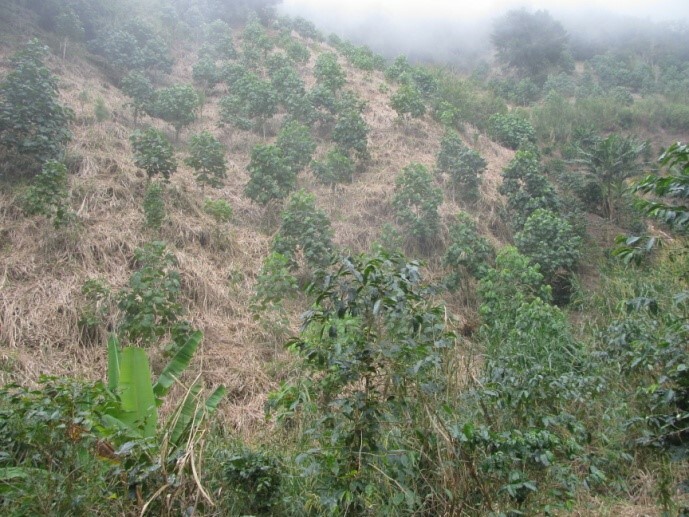 The project aimed to reforest 10 hectares of land in the communities of Highland Head and Shortcut Hill located in the Blue and the John Crow Mountains with 3,500 forest trees and 1,250 fruit trees; construct 6 check dams; and train 100 farmers in best farming practices on slopes and hilly areas. To date, 10 hectares of land have been reforested, all 6 check dams have been constructed and all 100 farmers have received training and 23 have received certification of participation. Persons were also trained in disaster risk management. Project Title: Training programmes to increase the scientific, technical and managerial capacities of individuals and organizations involved in conservation efforts. The Port Royal Marine Laboratory is located on the south coast, particularly in Kingston Jamaica. A strategic location for studying the marine environment and it terrestrial influences. It is against this background that Port Royal Marine Laboratory is the premier laboratory for the study of Kingston’s coasts other marine environments. 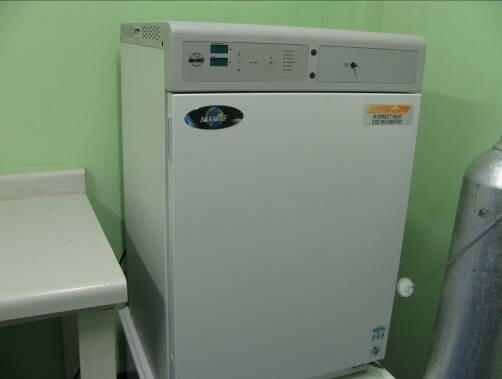 The lab is operated by the University of the West Indies Mona and is primarily for teaching and learning, research and development. Natural and anthropogenic factors have damaged numerous coastal forests island-wide. Many of these forests play vital roles which are important to rural and urban communities (Palisadoes and Port Royal, Greenwood, Bogue, Portland Bight etc.). 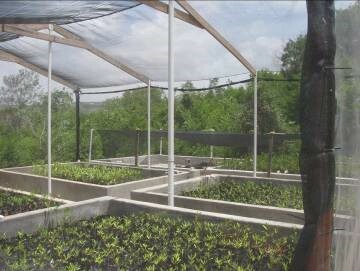 These forests do not naturally regenerate due to the extensive alteration of the natural habitat and the resources, skills, and knowledge to execute coastal forest restoration are lacking in Jamaica. 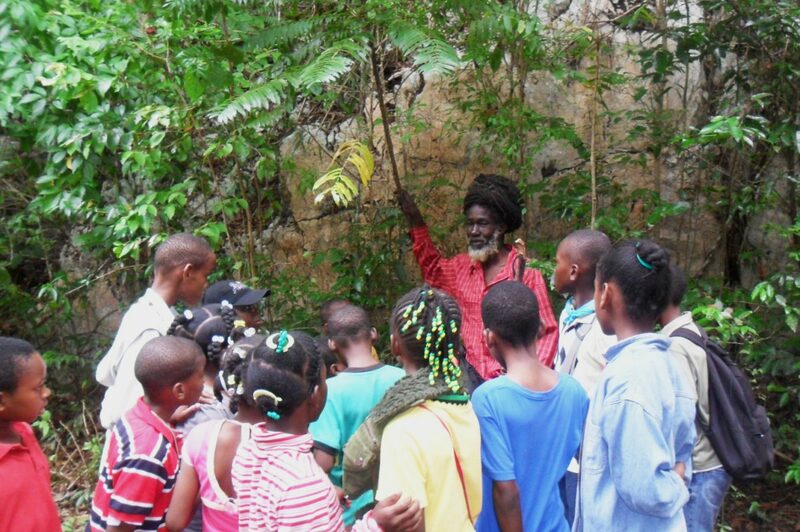 In 2011 a project funded by the Forest Conservation Fund entitled Critical Coastal Forest Restoration Project was commissioned by the Laboratory to restore mangrove forests at four locations in Jamaica. 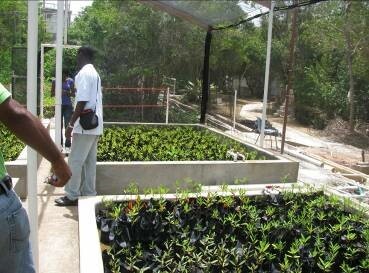 In this first phase of the project, the capacity of the mangrove nurseries would be increased, the data needed to select the four sites would be collected and personnel would be trained in mangrove restoration. 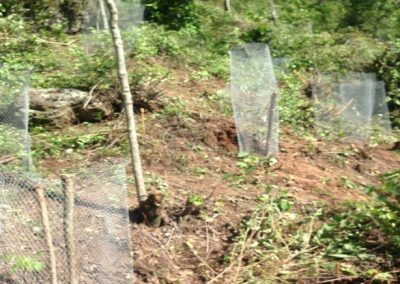 The Port Royal Marine Laboratory (PRML) audited and evaluated 12 locations for the coastal forest restoration project and 5 of the 12 were selected for restoration works in phase 2 of the project. 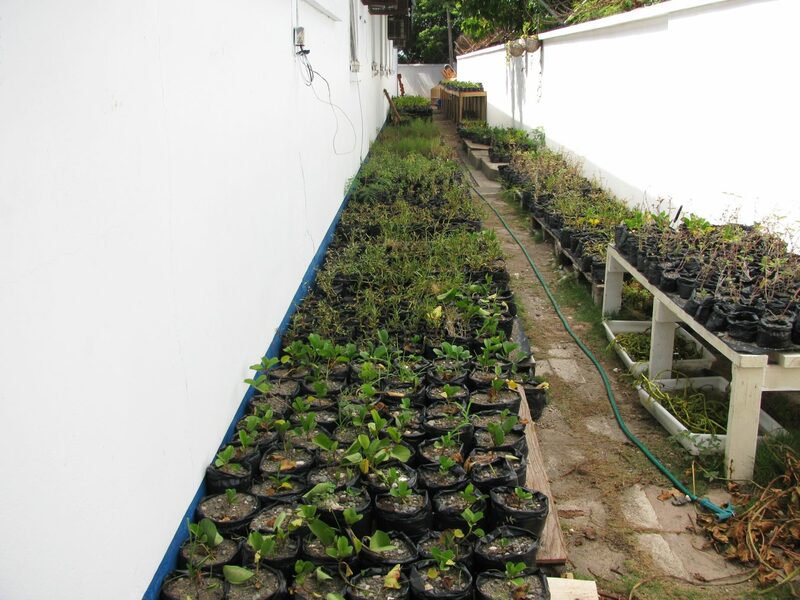 The capacity of the mangrove nursery at the Port Royal Marine Laboratory was increased to hold an additional 2000 plants whilst a new wet nursery was constructed at the Discovery Bay Marine Lab with a capacity to hold 3000 plants. 1 staff member was trained in mangrove restoration along with volunteers. The Children with Special Needs and Disabilities thematic area aims to address:- the inadequate facilities for children, improving the knowledge, as well as the general integration of children living with disabilities. Elements such as establishing or enhancing development programmes and therapies for these children are supported by the EFJ. 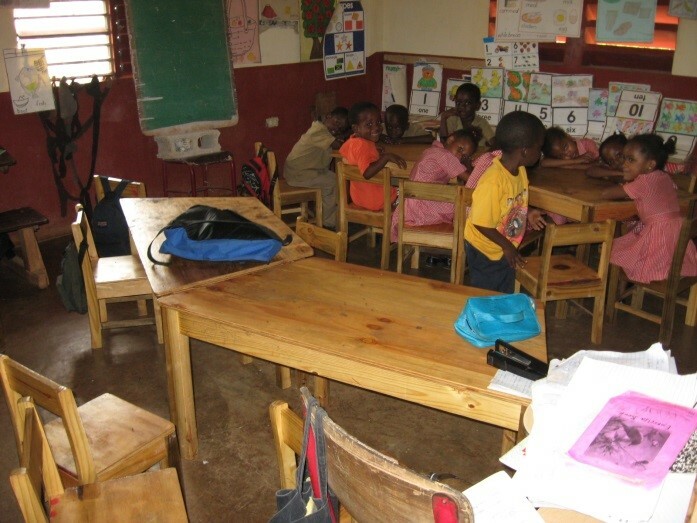 Additionally, EFJ provides support to non-governmental organizations working with children with disabilities, as well as schools who may specifically target these children or schools who may want to become more inclusive and may require suitable facilities and equipment. 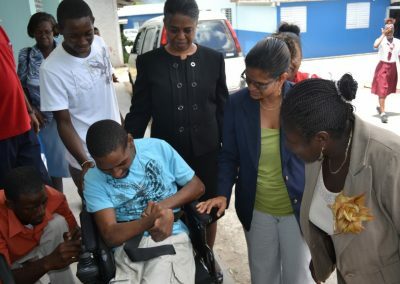 In 2009 JAID was awarded a grant for the provision of specialized equipment for which nine (9) children from the Randolph School of Hope; Windsor School of Hope and the Early Stimulation programme received specially fitted wheelchairs. 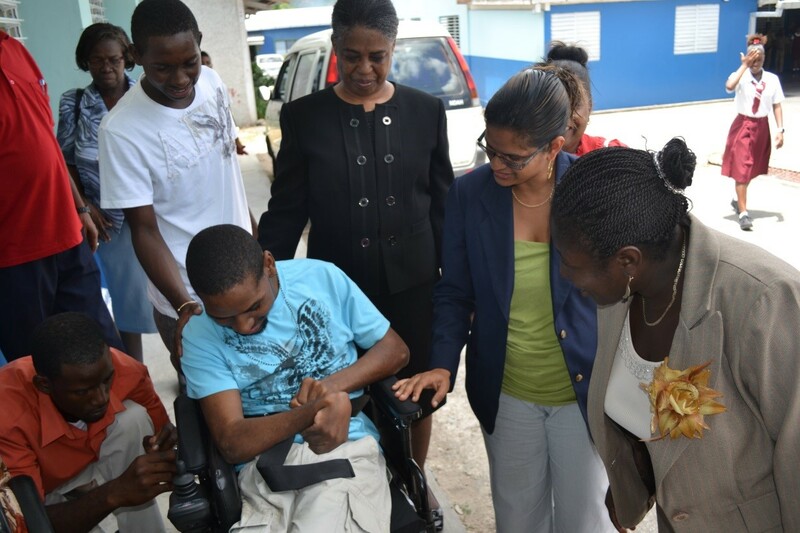 Genesis Academy is a high school for students with intellectual disabilities/challenges. It caters to students age 12 to 21. There is also a “21 to 25” cohort for which the extension unit provides support in occupation & life skills. 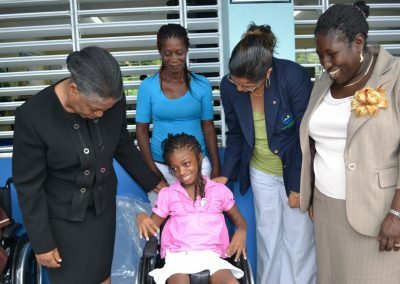 The STEP Centre is an independent school formed in 1992 and both institutions provide individualized and comprehensive special education programmes for children. The programmes include therapeutic intervention from a Speech and Language Therapist and Physiotherapists. The project entitled Facilitating the Integration of Children and Young Adults with Developmental Challenges into the Wider Community by Targeting Communication; Nutrition and Psycho-social Development was implemented in collaboration with The STEP Centre. 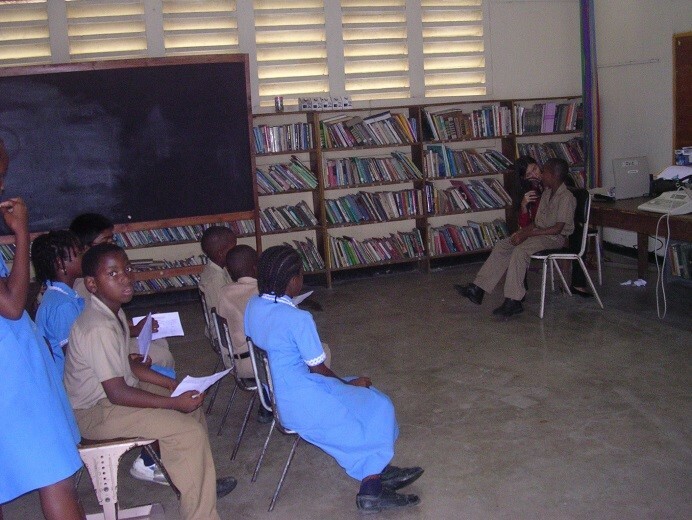 The objective of the project was to improve and strengthen the therapeutic intervention for children and young adults by providing services within their schools, at Hope Valley Experimental School and Sophie’s Place. More specifically, Genesis sought to strengthen the special education services provided to the children of those institutions by integrating the therapeutic interventions of a Speech and Language Therapist, an Art Therapist and a Nutritionist. 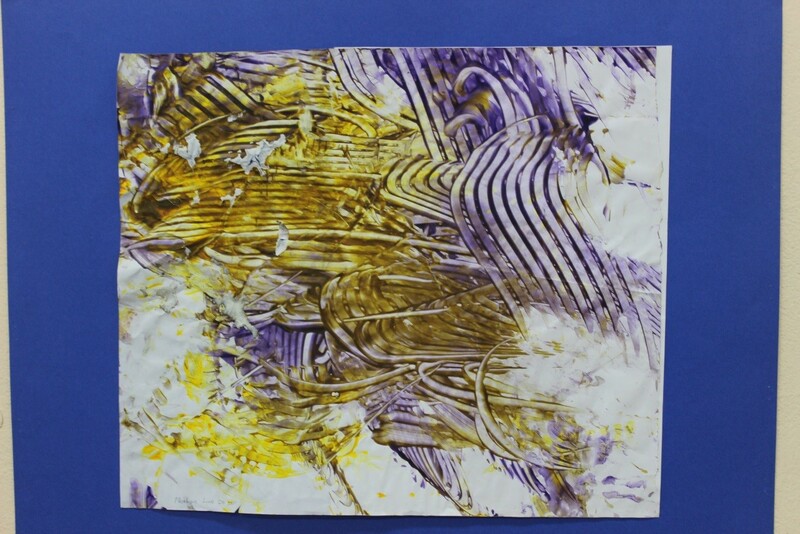 The use of Art Therapy was introduced to the schools. 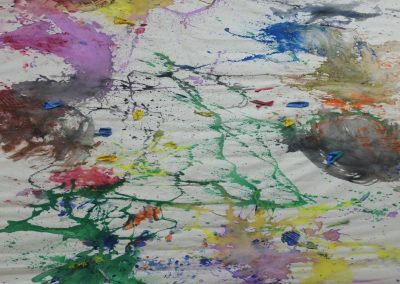 Art Therapy is a unique therapeutic outlet that is used to aid individuals in addressing various issues (emotional, physical, developmental and psychological) and combines the use of psychology with the creative process of art. 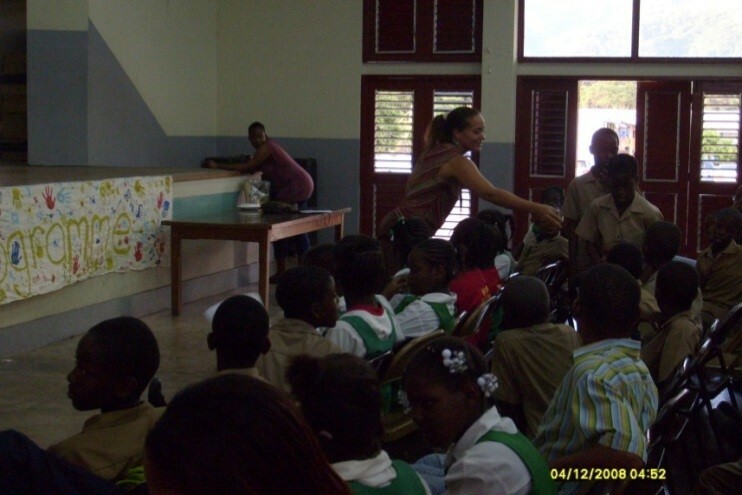 The project successfully assisted the students to improve their mental, physical and emotional abilities. 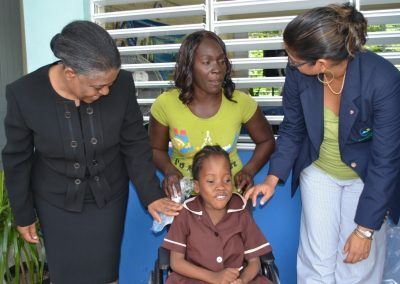 The Jamaica Association for the Deaf-Hearing Services Department provides services in the special education, hearing health care and social support. The organization has been in operation since 1938 and provides services and social support for children who are deaf and their families. 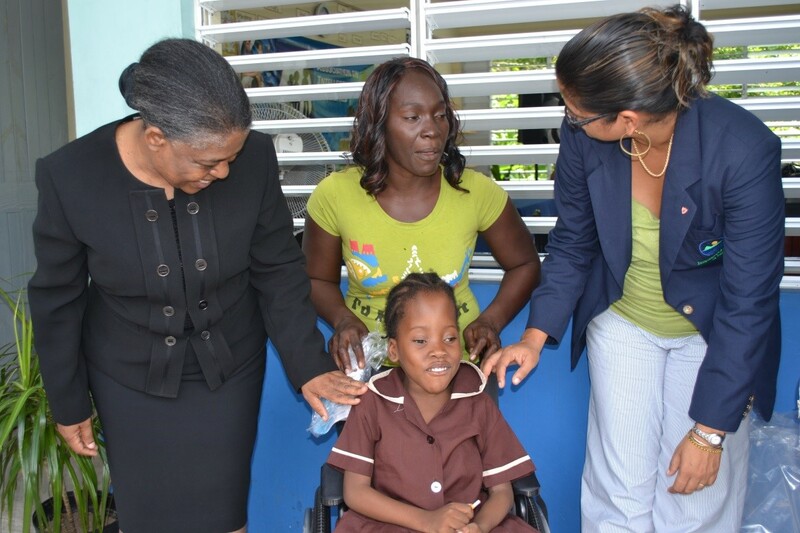 The Hearing and Awareness and Assessment projects were implemented to improve the quality of life of hearing-impaired children throughout Jamaica and to promote good healthy hearing practices. 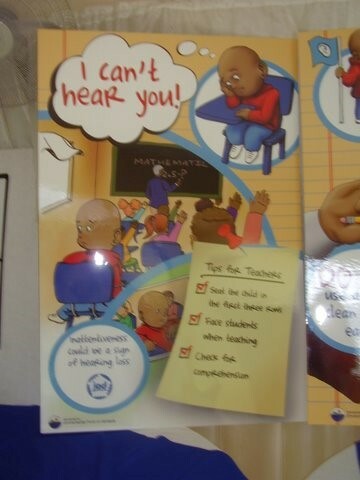 This is in an effort to reduce the number of children at risk for developing hearing loss. 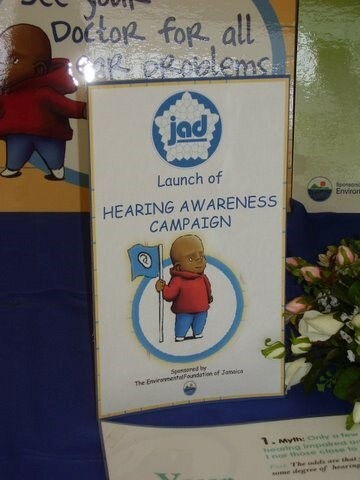 In order to provide a comprehensive hearing screening referral and diagnostic referral assessment program, The Jamaica Association for the Deaf embarked upon a public awareness campaign to sensitize people about hearing loss, the importance of hearing health, the need for prevention, early intervention and services available. 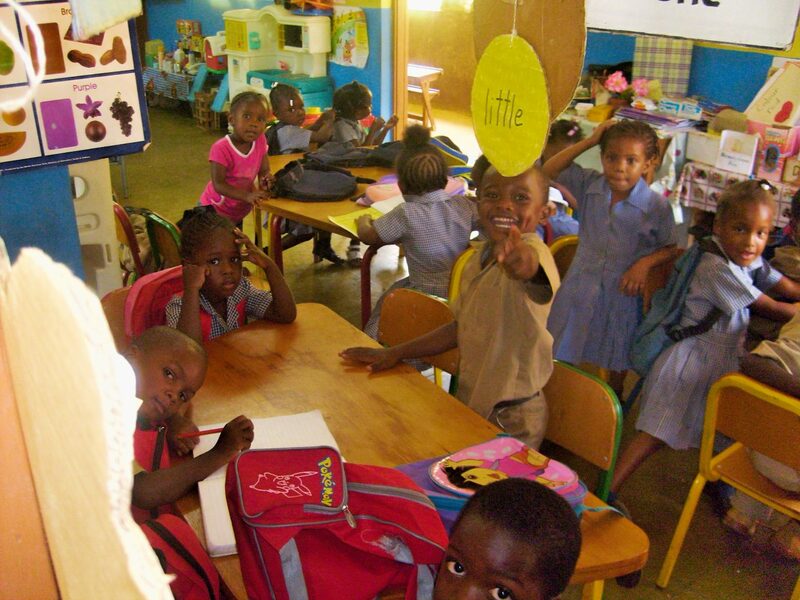 The EFJ provides support for training of professionals in the field, and enrichment programmes to benefit the children, with specific reference to areas such as nutrition and play. 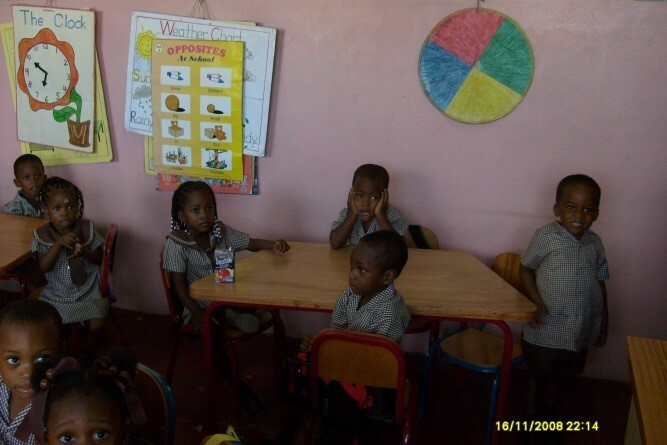 The focus is also placed on early stimulation activities and the training of parents and caregivers. 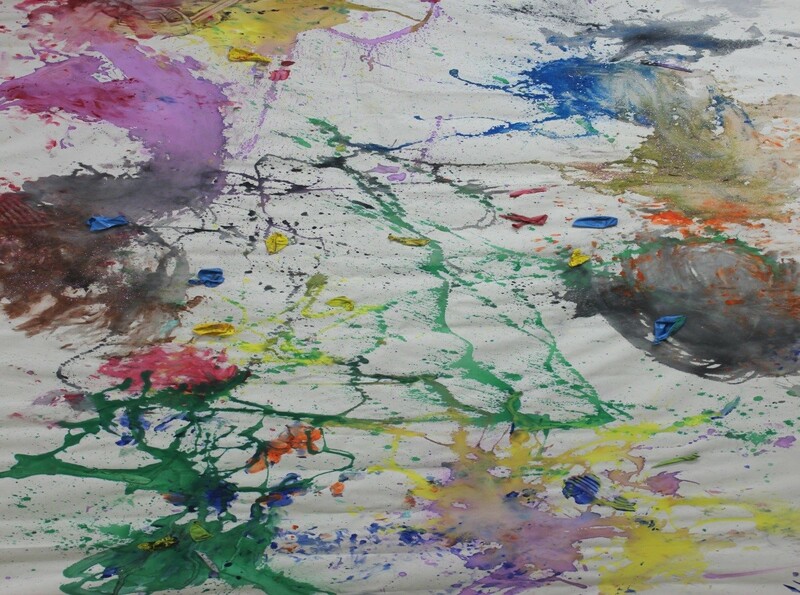 The EFJ pays particular attention to early stimulation and engagement of children whether at home or school and the early detection of special learning needs and disabilities (for example dyslexia, sight, and hearing). 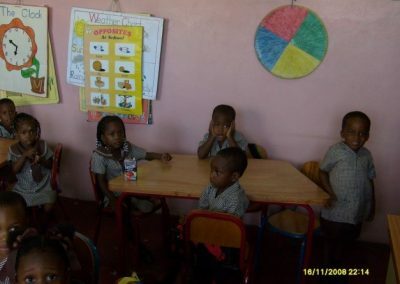 The project was geared towards strengthening early childhood institutions and resource centers in order to enhance early stimulation and the effective implementation of the Early Childhood Curriculum. 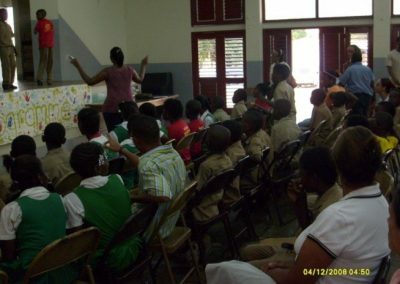 Specifically, the project aimed to improve the quality of learning environments in early childhood schools through the provision of resources, and to equip teacher and trainers with the knowledge and skills needed for achieving learning outcomes through the conduct of sand and water-based activities. 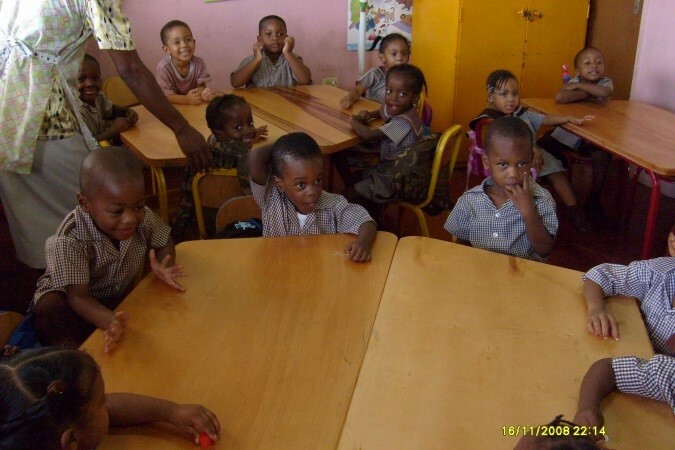 The project was piloted in fifty (50) schools selected by the Ministry of Education, Early Childhood Unit and the Early Childhood Commission. 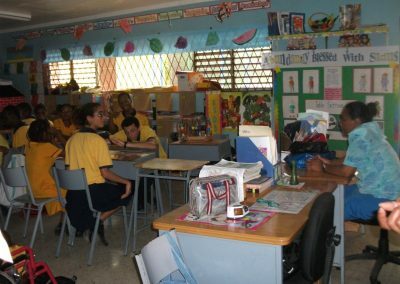 The project has impacted the learning and teaching environments of 1,366 students (3-6 years) and 98 teachers islandwide. 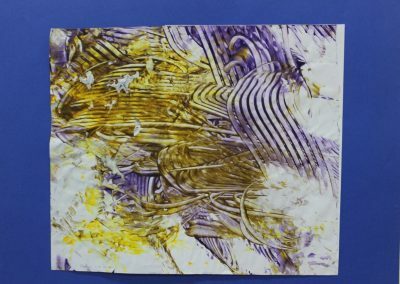 This has positively affected the academic performance as well as the cognitive development, growth of motor skills, encourage better relationships with their peers as they are in a less stressful classroom setting. The Family and Parenting Centre was formed in October 2000 with a mandate to provide child therapy and counseling and parenting workshops. 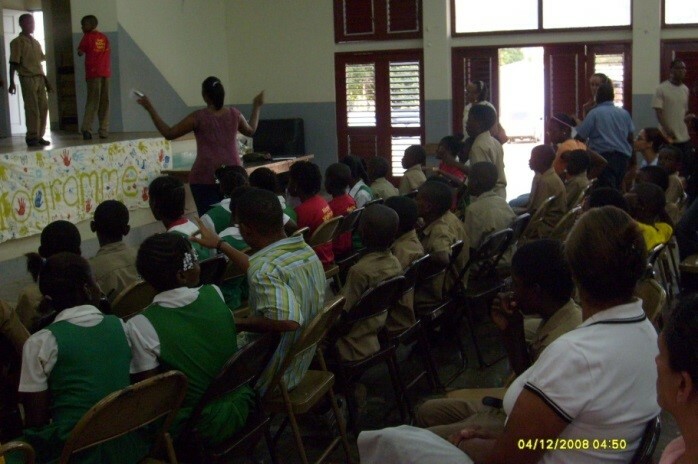 It is one of the leading organizations providing intervention for children exposed to violence and abuse. 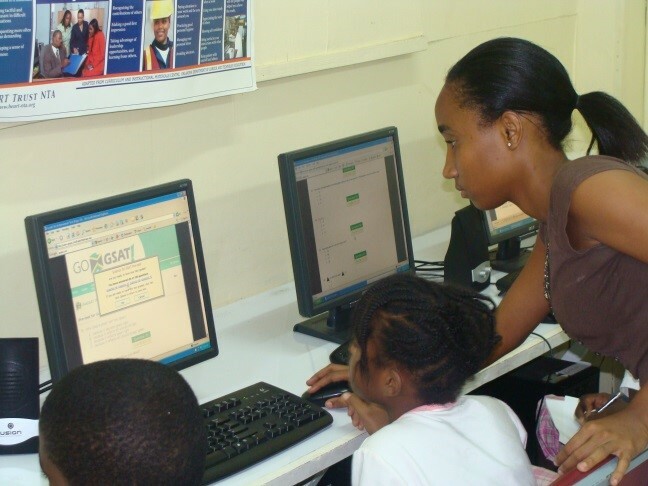 The Centre works in 30-40 communities in the Montego Bay area. 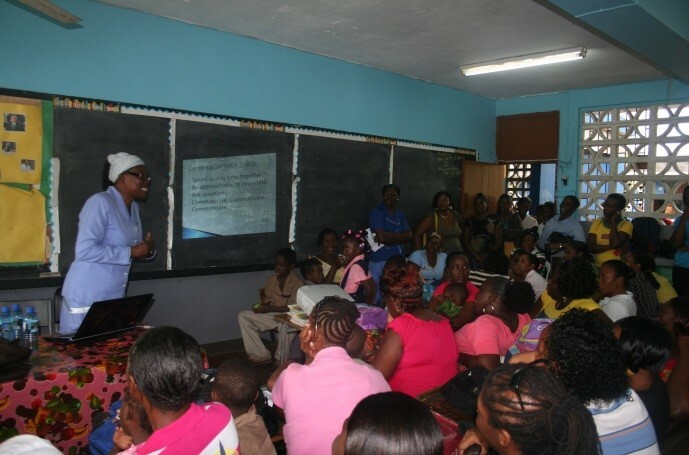 Under this project, Family and Parenting Centre sought to reduce inappropriate behaviors, suspension, and expulsion of 600 emotionally disturbed children in ten (10) schools in volatile communities in Western Jamaica. They also sought to provide training for teachers to detect and refer the children who are emotionally disturbed. Remedial classes were held with those children who were taken out of school because of their maladaptive behavior. 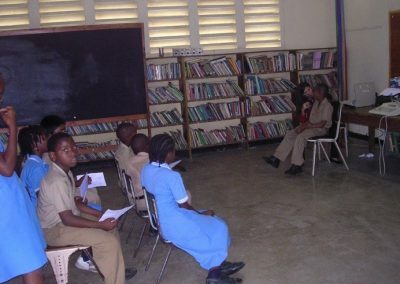 The programme that was used for the intervention was the “In-School Suspension Programme Outline – Programme for Alternative Student Support – (PASS)” which was developed by the Guidance and Counselling Unit of the Ministry of Education. 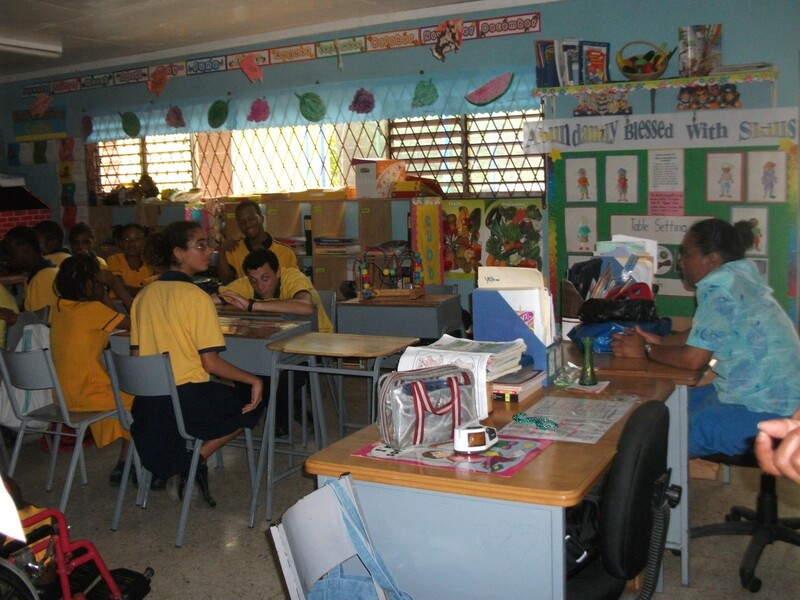 This project was part of the Ministry of Education’s response to addressing the needs of children with behavioral problems in schools, of which 95% of the targeted schools are located in inner-city communities. The project also helped the children to improve the interpersonal relationship and reduce school suspension and expulsion. The first two components of this ongoing programme were: 1. Trauma Counseling and 2: Violence Prevention. This third phase also brings the relevant parents or guardians into parent management sessions and train teachers and the relevant school staff to detect and refer children who are emotionally disturbed. 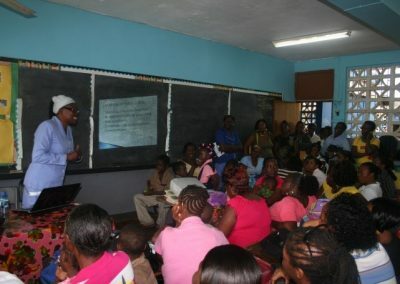 Workshops were held with parents who would be empowered with the necessary skills to manage and control the children. 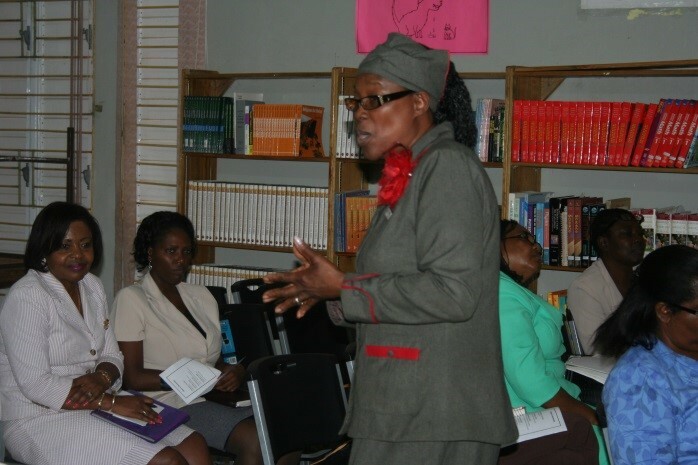 Training sessions were also conducted with 60 teachers to detect and refer children who exhibit disruptive behavior. Family and Parenting conducted pre and post evaluation of psychosocial and reading tests of the children as well as pre and post evaluation of the management skills of the parents to measure the success of the project. The results of the intervention were sent to the Ministry of Education and at the end of the project, a final evaluation along with recommendations was sent for policy decisions. The Hope Wellness Centre was formed in March 2006 by the Hope United Church. It was created to encourage violence prevention and promote positive sexual and reproductive health in children and adolescents. 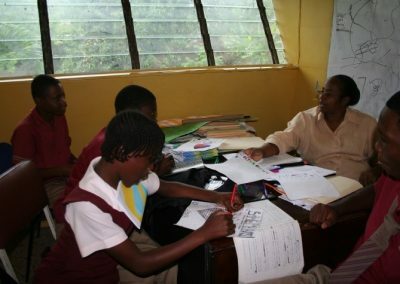 Apart from the child resiliency programme, the Centre offers medical services to the prep school on the compound as well as counseling services to the Church and the wider community. 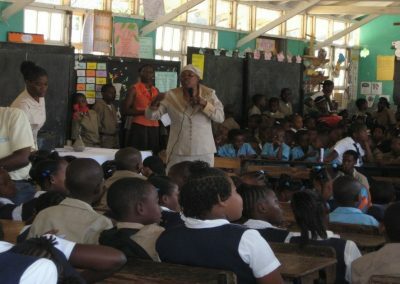 In the Kintyre, Papine, Tavern and August Town areas there were increasing reports of adolescents involved in violent crimes and other illegal activities. There were also problems with early sexual activity and limited parent support. 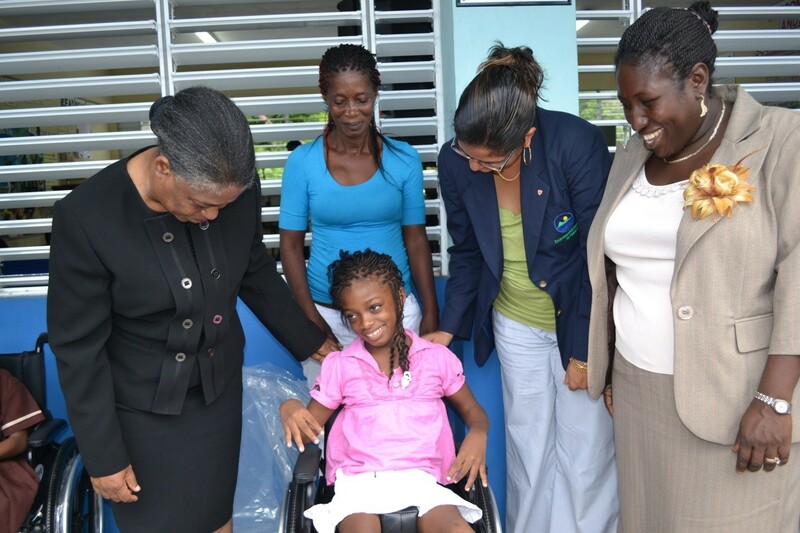 To address these issues, at-risk youth from Mona Primary, Hope Valley Experimental Primary were targeted. 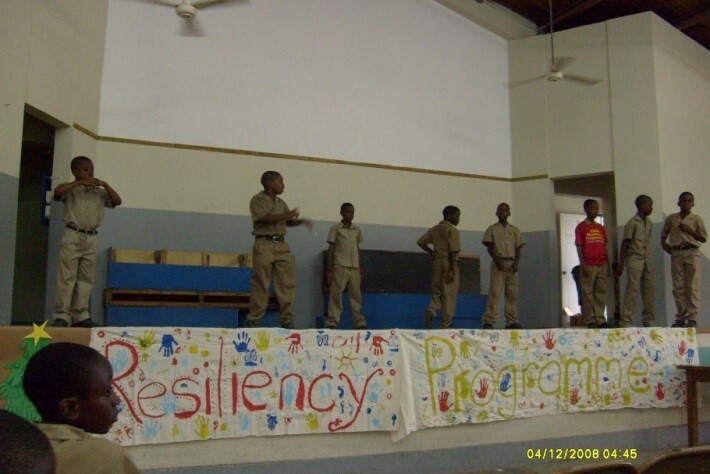 The Child Resiliency Programme was implemented to build resiliency in a cohort of vulnerable pre and young adolescents (age 8-12). The church, school, and community intervention helped to reduce the incidents of violence and abuse, and delayed sexual activity in young adolescents through (1) Life skills training including the facilitation of 10 adolescent development tasks, (2) the provision of academic support to increase literacy and numeracy, (3) Parent support and skills training (4) Mentorship programme (5) Counselling to parents and children as needed and provided, (6) A sense of belonging through involvement in sporting and creative activities. 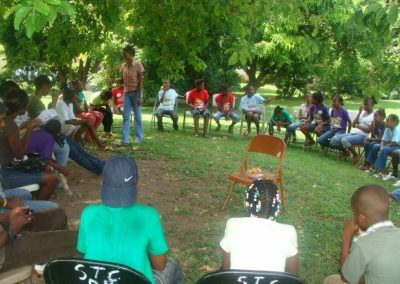 Hope Wellness Centre was given a second grant for an additional two years to continue working with the 30 of the 60 pre-adolescent children and their parents to demonstrate and share the importance of healthy lifestyles. An additional 25 students who were in the first Programme but had moved unto secondary school joined the 30 referred. Coordinators and volunteers facilitated academic support (computer-based and reading), life skills training, creative expression, sports-based activities, mentorship programme and positive parenting training for a comprehensive intervention in the lives of the children. It is anticipated that if efforts are made to share these ideas of healthy living with children before they become adolescents it may steer them away from behavior and influences that may lead to drug abuse, teen pregnancy, and crime. 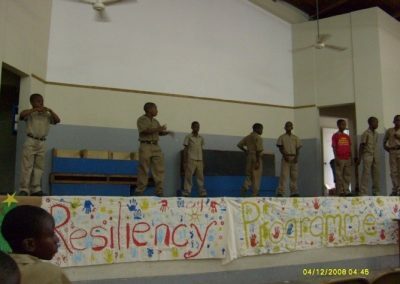 RISE Life Management Services was formed in 1990 (it changed its name from “Addiction Alert” in 2005 to reflect its youth and community development focus). They have expanded their mandate from counseling for addictive disorders to community-based health and educational interventions for at-risk youth, employee assistance programmes and training programmes. 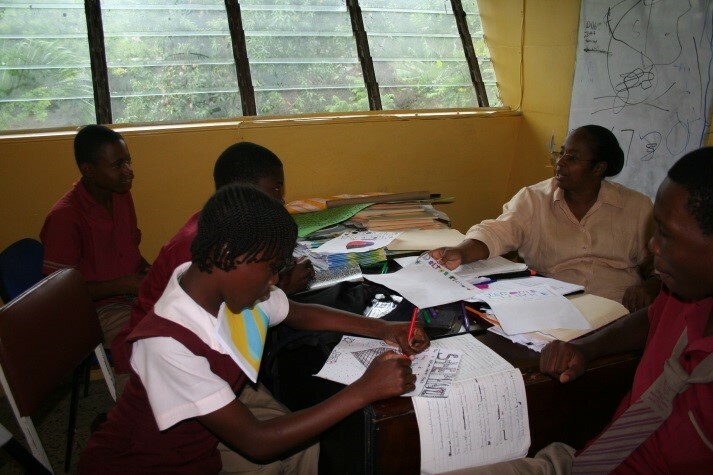 The organization works in communities such as Drewsland, Fletchers Land, Tower Hill, Allman Town, and Waterhouse. 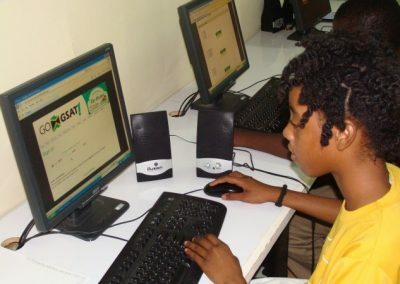 The Adolescent Computer-Based Literacy & Violence Prevention Programme was a one-year intervention that supported the organization’s literacy programme offered to adolescents ages 9-14 in six inner-city communities. 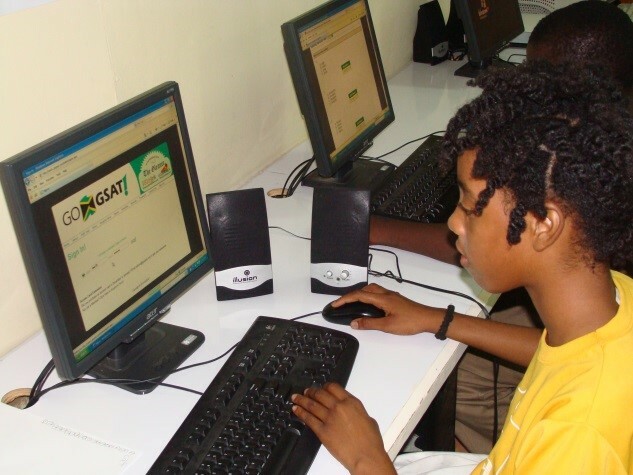 The objectives included (1) The implementation of a GSAT preparation programme for 100 adolescents (Grades 4-6) in 4 inner-city communities (2) Provision of 320 hours of life and social skills, computer-based literacy training, conflict resolution, sexuality and reproductive health, self-esteem, and personal development. 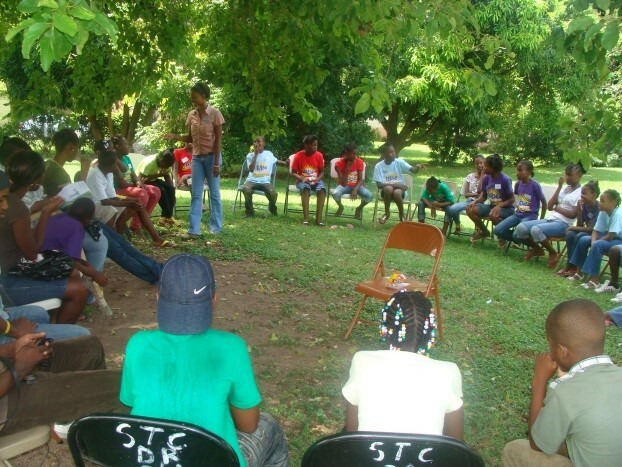 The project was successfully completed and has significantly impacted adolescents in the targeted communities.